I have in front of me a little booklet. It was given to me after last Sunday evening’s service. It’s a booklet of daily devotional readings running from Easter Sunday 8th April to Pentecost Sunday, 27th May. Seven weeks in all. A Bible passage is set for each day. They’re mostly drawn from John’s gospel or from Acts; a few from other parts of the Bible. A text from the passage is quoted, and is followed by some comments, a prayer, and then suggestions for further prayers. “You must repent and every one of you must be baptized in the name of Jesus”. Isn’t it good to come across a writer who’s not afraid to speak of sin, the work of the Holy Spirit in conviction, repentance, God’s mercy? OK, there are phrases there that I wouldn’t use. Is it true that “when we repent and turn away from sin we…receive the mercy and blessing of God”? I think I’d say rather that it’s God’s mercy that causes us to repent. But still, this is surely a good and wholesome attempt to take seriously what the Bible says. And surely the prayer is a prayer every Christian could pray: it’s taken almost exactly from Psalm 51. So far, so good. But now what about the last few lines on the page – the suggestions for further prayer? Three prayers to pray. “Our Father” – the Lord’s Prayer. Jesus himself told us to pray using those words. “Glory be to the Father and to the Son and to the Holy Spirit. As it was in the beginning, is now, and ever shall be, world without end. Amen.” Well, that’s a good and right thing to pray for. And sandwiched between those two prayers…. Yes. Every reader is encouraged to repeat ten times a prayer to the Virgin Mary alongside the Lord’s Prayer and the Glory be. And we are encouraged to go through that routine every day, throughout the seven weeks. Puzzled? You needn’t be. The booklet is published by “alivePublishing” – the publisher to “the Holy See” – ie the Roman Catholic Church. The introduction is written by Vincent Nichols, RC Archbishop of Westminster. He may well be the author of the whole booklet. Certainly it bears his imprimatur, certifying that this booklet is officially approved by the Church and recommended to all Roman Catholics. It is confusing isn’t it? In many ways, the Roman Catholicism I find in this booklet seems very different from the Roman Catholicism I encountered in my childhood. None of the Roman Catholics I knew when I was a teenager read their Bibles or talked about sin, conviction and repentance. So has the Roman Catholic Church changed? When I read some of the comments in this booklet I think maybe it has. But then I read the words of the Hail Mary, and I wonder if it’s changed at all. Some Christians say that Rome never has changed and never will. Perhaps they’re right after all. Well, the Roman Catholic Church is a vast movement, stretching across scores of countries, involving many millions of people, publishing thousands of books each year, represented by many thousands of priests as well as countless lay workers. Nobody can have a complete picture of all that’s going on globally. But looking at this booklet, I’m convinced of three things. And the greatest change is this. Roman Catholics are being encouraged to read the Bible. Here’s the commentary for 18th April: “The apostles heard the Lord speak very clearly to them… We too can hear the Lord speak to us… We need to train ourselves to listen to the voice of the Lord… when we read his word in scriptures…” . Here’s April 22nd: “Just as Jesus opened the minds of the disciples on the road to Emmaus to the scriptures, so too our minds can be opened up to the life giving message of the word of God”. The writer asks (p 17) “How do we train spiritually? …by dedicating ourselves to know the Scriptures. All Scripture is God-breathed and is useful for teaching, rebuking, correcting and training in righteousness. (2 Timothy 3:16)”. And again (p 35). “We…are involved in a battle, a spiritual struggle, a fight to live the Christian life… We strive to resist temptation, we battle to pray and we engage daily in the call to read the Scriptures”. Well that’s clear. Archbishop Nicholls wants every Catholic to read the Scriptures daily. And the booklet says nothing about which translation they should use. The verses quoted in the booklet seemed to be taken from a variety of translations including AV and NIV. I didn’t notice any examples where the translation had been twisted to fit with Roman Catholic doctrines. Roman Catholics who read and follow the programme laid down in this booklet will be exposed to the pure Word of God. Amazing! The “Church” which for so long fought to prevent the Bible from being translated into English is pressing the cause of the Bible. That is a real change. We may speculate about the reasons why Roman Catholic leaders are encouraging their followers to read the Bible. It may simply be that they’ve decided that since they can’t beat us, they’d better join us. They know that they’ve lost their battle. They know they can’t stop folk from reading the Bible. They know that if they try to, Roman Catholics will leave the Church. So they pretend that it’s what they wanted all along. Maybe. But whatever their real motives, they are telling people to get our their Bibles and read them. The Bible is powerful to make people wise for salvation through faith in Christ Jesus (2 Timothy 2:15). If Roman Catholics start reading their Bibles, we can expect to see the Holy Spirit working to bring some to faith in Christ alone. If Roman Catholic priests are preaching from the Bible and leading Bible-studies, can’t we pray that some of them will grasp the true gospel and be saved through their own preaching? themselves into independent churches. Maybe ten years from now there’ll be a network of gospel congregations across the UK that have seceded from Rome. Is that too big a thing to pray for? It’s beginning to happen elsewhere. There are gospel congregations in the Republic of Ireland made up almost entirely of ex-Roman Catholics, converted through their encounter with the Bible. There are similar congregations in the Netherlands. Why not here in the UK? I am no prophet and I have no idea what God is going to do in coming days. It may be that ten years from now the Roman Catholic hierarchy will have reverted to its war against the Bible. It may be that the Roman Catholic Church will be at the forefront in persecuting evangelical Christians again. But is it impossible that we should see world-wide awakening and reformation among Roman Catholics? What if the Holy Spirit were to open the eyes of the Pope as he read the Scriptures? What if one after another of his cardinals were to be saved? What if they were to lead the way in bringing Reformation to the whole vast organisation? Is anything impossible with God? “We… enter the Christian life not by our own ability or natural talent. We do not earn grace nor do we deserve it…” (p4). Here’s what it says about the resurrection: “Jesus’ resurrection is not a theory, myth, dream or fairy tale but a singular and unrepeatable event. Jesus of Nazareth who at dusk on Good Friday was taken down from the cross and buried, has victoriously left the tomb… in him we enjoy already the gift of eternal life…” (p9). Here’s what is says about the gospel: “As ambassadors of Christ we too have been entrusted with a message and we are called to deliver it gently and gracefully. The gospel is the most encouraging message in the world. What could be more encouraging, comforting and consoling than the news that God loves us, that Jesus died for us, that the Holy Spirit was sent to us…” (p50). “The gospel is the message of eternal life and its acceptance or rejection is a matter of life and death” (p58). And the booklet quotes words her Majesty the Queen used in her Christmas broadcast: “God sent into the world a unique person – neither a philosopher nor a general, important though they are, but a Saviour, with the power to forgive. Forgiveness lies at the heart of the Christian faith…” (p68). The Holy Spirit could take up a single phrase or sentence from this booklet and use its truth to open the eyes of the blind. Will you pray that He’ll do that? 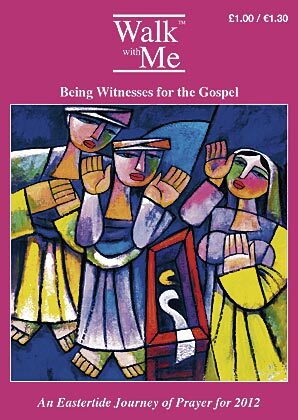 Yes, within this little booklet you can catch glimpses of the true gospel. But does that mean that the Roman Catholic Church has abandoned its false teaching, and has begun to preach the true gospel? Not a bit of it. I quoted at the beginning, the Hail Mary. “Hail Mary full of grace…pray for us sinners now and at the hour of our death…” So Mary can hear the prayers of millions of people all across the world as they pray simultaneously. She can read the lips and the hearts of every one of them, as they pray in their different languages. For Rome, it seems that Mary has all the attributes of God – she is omnipresent and omniscient. (But maybe that’s no surprise if she is the “Mother of God”). And sinners are encouraged to put their hope in her. We need her prayers now – and much more at the hour of our death. We are sinners. She is full of grace. How far this is from the NT gospel! “Jesus – there is no other name given among men by which we must be saved” (Acts 3:12). This booklet is written for Roman Catholics. 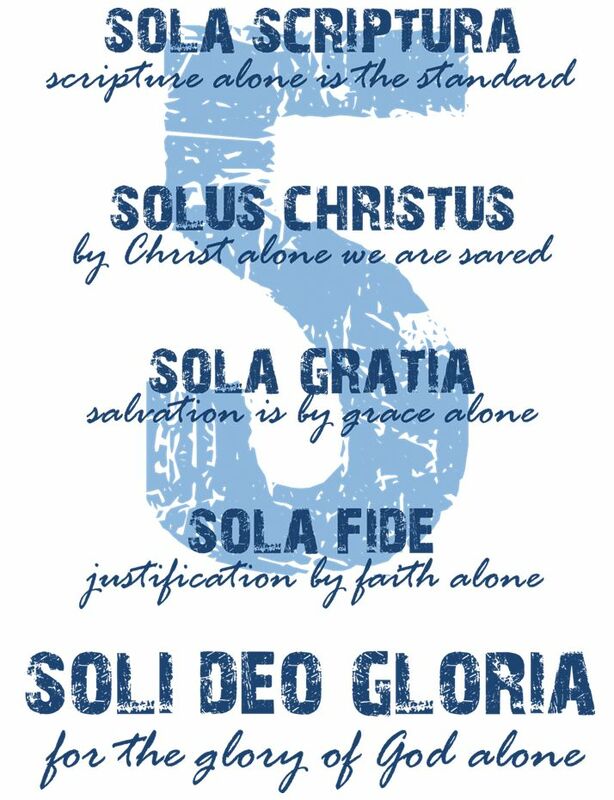 And at every point, the writers take it for granted that every Roman Catholic is saved and has eternal life. But why? Here’s why. “Not many of us have had a conversion as dramatic as St Paul’s. Most of us were baptized as babies and our faith has been handed on to us. However, at our baptism, we underwent the same experience as St Paul. We were immersed in Christ’s death and resurrection. We died with him, we rose with him…” (p32). Did you notice the wording of that last quotation: “we will die… and once purified will live for ever…”? How is this purification to happen? In purgatory. The Roman Catholic is still taught that though saved, he must expect to suffer after death in purgatory, until his venial sins have been burned away from him. How different from the good news that we read in the New Testament: “If we walk in the light as he is in the light, we have fellowship with one another and the blood of Jesus his Son, purifies us from all sin… if we confess our sins he will forgive us our sins and purify us from all unrighteousness…” (1 John 1:7-9). I could point out many other things in this booklet which fly in the face of New Testament Christianity. But surely I’ve said enough. The Roman Catholic Church still urges sinners to look to Mary in their hour of need. It still declares that all who are duly baptized as babies are saved. It still preaches that Christ’s blood is not sufficient to purify us from all sin. The gospel that Rome preaches is not the “good news” that we find in the New Testament. It is another gospel, and that means it is not good news at all. And that means that the Roman Catholic “Church” is not a Church at all. How can it be a Church when it deceives millions of people about God’s way of salvation? How grateful we should be for the gospel, the real gospel, the only gospel. Grace alone. Faith alone. Christ alone. How ready we should be to tell it to others. How we should pray that those who have embraced a false gospel should be rescued from it.